Tummy Tuck Miracle Slimming System Belt Review: Does It Really Work? One of the toughest problems in losing weight is getting rid of stubborn belly fat. You can take diet pills, count calories in a Weight Watcher program, or try an at-home slimming solution like the as seen on TV Tummy Tuck Belt. There are tons of solutions available online that you can try, but how do you know if they really work? There are numerous Tummy Tuck Belt reviews online you have probably already seen, but they may not have had all the information you are looking for. If you want all the details, including complaints, then please read on. What Is The Tummy Tuck Belt? The Tummy Tuck Belt is an alleged slimming system from the company Savvier, LP and available on their website tummytuckbelt.com. The belt also now known as a waist trainer belt was introduced to the marketplace in 2010. Savvier was found in 2002 and is located in Van Nuys, California. How Does The Tummy Tuck Belt Work? The Tummy Tuck Belt works by compressing and slimming your midsection in order to help you lose weight. The system comes with a Thermal Accelerator Cream you apply to your stomach and then place the belt across your midsection. You then perform abdominal contractions for 2 minutes. When 10 minutes pass, you remove the belt. The cream will allegedly continue to work for about 3 hours afterward. You can order the Tummy Tuck Belt on the company's website for a one-time payment of $39.98 or two payments of $19.99. However there is also a $9.83 shipping and handling charge. At the time you order, you will be placed in an auto shipment program for the Thermal Accelerator Cream. After 30 days, you will start receiving a 2 month supply of the cream every other month. The charge for this auto shipment is $19.99 per month plus $6.99 shipping and handling. You can skip the auto shipment fees by buying this product on Amazon.com. You can also look into alternative better priced and reviewed tummy tucking belts and waist trainers here. Where can you find a cheap tummy tuck belt? 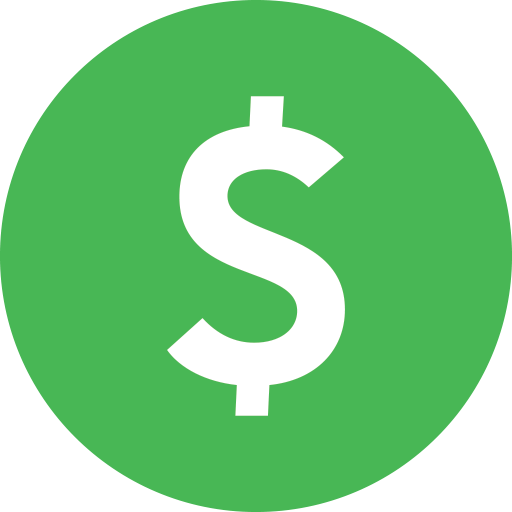 If you are looking to save money, you might want to try websites like Ebates.com, Raise.com, and Swagbucks.com for special discount codes, rebates, and promo codes. Ebates can give you great discounts on many of your purchases, including the Tummy Tuck Belt slimming system. Swagbucks also gives you discounts like Ebates plus they offer free gift cards and cash back. With Raise, you can purchase gift cards at a discount. If decide to buy the Tummy Tuck Belt on Amazon.com, you can save a lot of money, especially if you are a Prime member. Stack all these deals together for excellent money savings on not only the Tummy Tuck Belt but many other purchases as well. Instant Slimming: The belt compresses the stomach inward to help you get a flatter tummy right away like a waist trainer belt. Burn Excess Fat: The Thermal Accelerator Cream penetrates the skin to create a warming effect that helps burn away fat. Easy To Clean: You can either hand wash the belt or place it in the washing machine on the gentle cycle in cold water. 30 Day Money Back Guarantee: If you are unhappy with your order, you can return the Tummy Tuck Belt back to the company within 30 days for a full refund. Once the company receives the product back, it will send out a refund payment within 1o days. All Day Slimming: The belt can be worn underneath clothes all day. This can help you get a slimmer look and help you look great which is why waist training belts are all the rage nowadays. Excellent BBB Rating: At the time of this review, the company has an A+ rating and full accreditation with the Better Business Bureau. The company received only one complaint which requested a refund and the complaint was resolved to the customer's satisfaction. Might Give You A Rash: Several customers report developing an allergic reaction to the cream which gave them a rash. The product may also roll out of place frequently which can cause further irritation. No Weight Loss Results: Many past customers also say that they saw no weight loss results after using the Tummy Tuck Belt. Auto-Billing: You will receive a charge every month for the Thermal Accelerator Cream that includes shipping and handling charges. No Ingredients List: The company does not list any of the ingredients for its Thermal Accelerator Cream on its website. No Scientific Proof: There are no clinical studies available on the company's site or elsewhere that proves the slimming system actually works. Misleading Representation: The images used to show the fat during results are misleading. The company admits at the bottom of its website that the clinical scenes used were “recreated by volunteers who were not paid for their time”. Sweet Sweat Premium Waist Trimmer: This belt for both men and women will help you increase your core body temperature while you exercise to help you lose weight. It costs around $20-$48, depending on where you buy it. FeelinGirl Women's Waist Trainer Belt: This belt can help burn fat, improve your posture, and help relieve back pain. It costs around $15-$17, depending on where you purchase it. Camellias Women's Waist Trimmer Belt: This belt also provides slimming effects, burns fat, and helps relieve lower back pain. It ranges in price from approximately $15-$24. 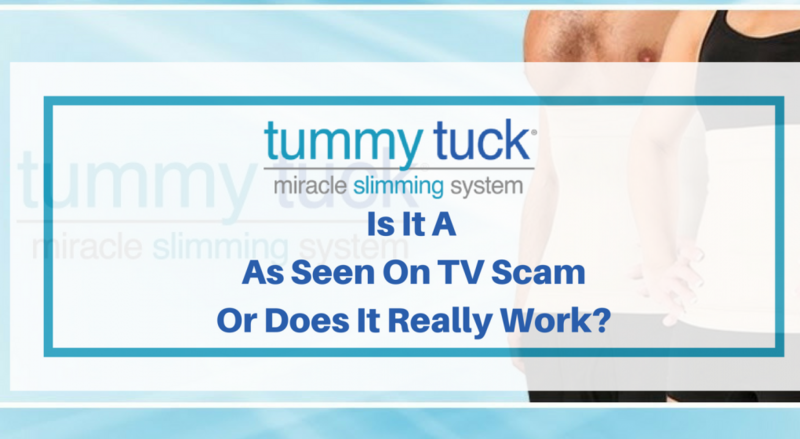 So Is The Tummy Tuck Belt An As Seen On TV Scam or Not? While the Tummy Tuck Belt can help provide you with a slimmer look, it's unlikely to help you lose weight by burning fat. The company does not disclose its ingredients for its Thermal Accelerator Cream and its website promotional images are misleading. The cream may cause a rash for those with sensitive skin. If you do try the product and are unhappy with your purchase, you can return the product within 30 days for a full refund. Now that you have read all the Tummy Tuck Belt reviews online as well as mine, you are ready to make a decision purchase for yourself. If you have already tried this slimming system, I want to hear from you. Tell me what you think by posting a comment down below. The Tummy Tuck Belt can instantly slim your belly because of the belt pressing on your tummy. But when it comes to losing weight, don't expect it to help you there. And there are some other complaints that will give you pause. Buy The Tummy Tuck Belt For The Best Price! Tummy tuck doesn’t sound like it will help lose weight like you mentioned. It seems better for the purpose of molding a “shape” of a person. If that’s the case I would go for one of your recommended products, “the sweet sweat” belt instead. My wife also bought one and it really helps keep her tummy tucked in. I think a belt is different because it’s not relying on some “magic” cream. I agree. The whole magic cream thing sounds like nonsense to me. Wow I almost could not help myself laughing at this Tummy Tuck belt used to supposedly lose fat off of one’s stomach. I could only assume that completely naive people would purchase this product believing that this belt along with the special cream would be all that would be necessary to produce 6-pack abs. No exercises which concentrates on the abdominal muscles are cutting back on caloric intake would be necessary. O-kay! I don’t like the fact that any ingredients in that special creme are not revealed. The upsell with people getting the creme shipped to them periodically, unless they have the foresight to cancel the product is also a bit scammy. I personally see no redeeming value for this product but, nevertheless, despite your excellent review, someone out there will still go all in and make a purchase. The one redeeming factor is that a person could get all of his/.her money back after realizing that the product does not produce results. Of course 30 days is not a long period either. I guess you’re not a fan of the product. Lol No but seriously I agreed with you about the whole shady cream and claim this will help you lose weight. It won’t from what I can tell. But the belt aspect can definitely flatten a tummy and that’s what they should’ve focused their marketing message on. Thanks for writing this review. I’ll be honest I have been wondering if these type of belts really work because I see them everywhere. I know plenty of women that can’t live without them. After reading your review I have decided that for me, this belt will not work. The results are not what I would hope for if I invest into this belt in my opinion. Thank you for sharing. I don’t believe belts or waist trainers can help you lose weight but they definitely do a great job of hiding a tummy. So from that perspective they work. I just wouldn’t rely on them for weight lost. I am the mother of two kiddos (and I want another) and I think that it is very important to just be comfortable when you look in the mirror. When I first had my children, I couldn’t get my belly pouch to slim down for anything. I tried wrapping it with saran wrap as was an old folk remedy and I didn’t stick with it. Today, I need to get back into my exercise routine, so I am definitely going to give this a try in tandem! You’re welcome Nerissa. Keep us posted. I definitely agree with you that belly fat is one of the toughest areas to get rid of when you’re trying to lose weight. It gets even harder as you get older! Although we are all looking for the easiest ways to help use lose weight and get slimmer out there, not all products work, so it helps to narrow down the options by providing good reviews like you have done. Unfortunately this product has lots of complaints and may not do anything for you. It doesn’t look like a product I would like to try after reading your review, but I think there are some good alternatives out there that are better that you have mentioned. Thanks for providing an honest, thorough review! I’m always looking to make myself look slimmer and lose weight. I found your review honest and unbiased. We all would love a wonder product that we could wear, and the weight would just drop off, but sadly that isn’t going to be around anytime soon. i think the tummy tuck belt might be ok for a special occasion, but long term results..forget it. I was considering one of these things, but now I think I will give it a miss! Awesome review, it helped me make up my mind! You’re very welcome. Again I think these type of belts are great to hide your tummy but not really designed to help you lose weight. So it all depends on your immediate needs.